It's Hip 2 Serve! 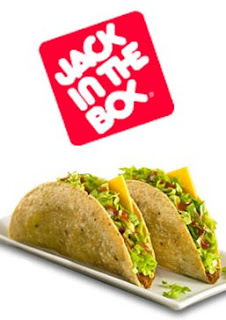 : Jack in the Box: 2 FREE Tacos Today!! Are you in the mood for FREE food?! Then head on over to Jack in the Box today to score 2 FREE tacos with this printable coupon. This coupon is valid from 12:00PM-11:59AM at participating locations (it's always a good idea to contact your restaurant to make sure they are participating).